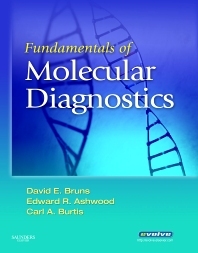 This book is the perfect companion textbook for a course in molecular diagnostics. It clearly explains the essentials and principles of various methods and methodologies, and is comprehensive without losing itself in technical minutiae. Although the book does not provide specific protocols and information for setting up a particular test, readers will gain beneficial knowledge on how to choose among different techniques. For those considering starting a molecular diagnostics laboratory, one chapter deals entirely with the design and the operation of such a laboratory. The book is organized into 3 sections. The first section introduces the basics of molecular biology that are required for an understanding of molecular diagnostics; section 2 describes the various techniques available and in current use; and section 3 discusses the practical applications of molecular diagnostic methods in the context of specific disease categories, such as heritable diseases, cancer, and infectious diseases. Each chapter also contains a short section with review questions to test the student’s comprehension of the material. In acknowledgment of the societal milieu in which we live, most chapters also include a short paragraph, in a separate text box, discussing some of the ethical questions raised by the application of the molecular methods described. This approach seems effective for increasing students’ awareness of these issues in the context of their future job functions in the laboratory. An excellent reference section is also provided, bringing together in one place information that the laboratorian often needs to look up quickly. Overall, I believe this book is an excellent information source that has few, if any, deficiencies. Although it is clearly targeted at readers who are new to the area of molecular diagnostics, it also provides much useful information for the more advanced practitioner in the field. The editors are to be congratulated for putting together such a well-balanced text, and I can recommend it to anyone who wishes to get a good overview of current practice and gain insight regarding some future trends in the field of molecular diagnostics.